Anyone who offers a product or service has to be able to sell their product (or themselves) at some basic level, or they wouldn’t be in the market for very long. Having an effective sales mindset is not just the preserve of slick, major corporations: it’s fundamental to freelancers, small businesses, and sole traders as well. However, it’s important to ascertain what sets apart the very best sellers. For example, what do they do to stand out, and what’s special about their approach that makes clients flock to them? In this piece, we’ll look at six of the key characteristics that all good sellers share, and how you can develop these skills for yourself. Let’s go! Great sellers understand the ‘why’ of their product or service. The reason for your product or service may be less obvious – and is often overlooked – but it’s critical. Above all, this means understanding what your product or service does to help your customer. This is often badged as your Unique Selling Point (USP), and is poorly defined by some as a boring list of product or service attributes. However, those with a good sales mindset go beyond this. There are key ‘faster, better, smarter’ drivers that motivate people to choose a particular product or service – work out which apply to your customers, and lead with them in your pitch. For example, do your customers need your service quickly? Stress your fast turnaround times, and think of ways to improve your speed. Do they need better quality? Work to ensure you provide it. Do they need a simpler way to do something? Eliminate complexity, as it’s been shown to boost sales. To dig out the issues that matter, go where your customers gather – for example, civil engineers or manufacturers might discuss issues in sector-specific forums, so try: Google “[customer sector] forum” to get a list of your most likely options, and check the discussions to uncover the top concerns. The last point leads naturally to a further observation: that great sellers aim to help their customers, rather than force them to a sale. This means enabling your customer to define their problem, and knowing the basic issues your product or service solves. 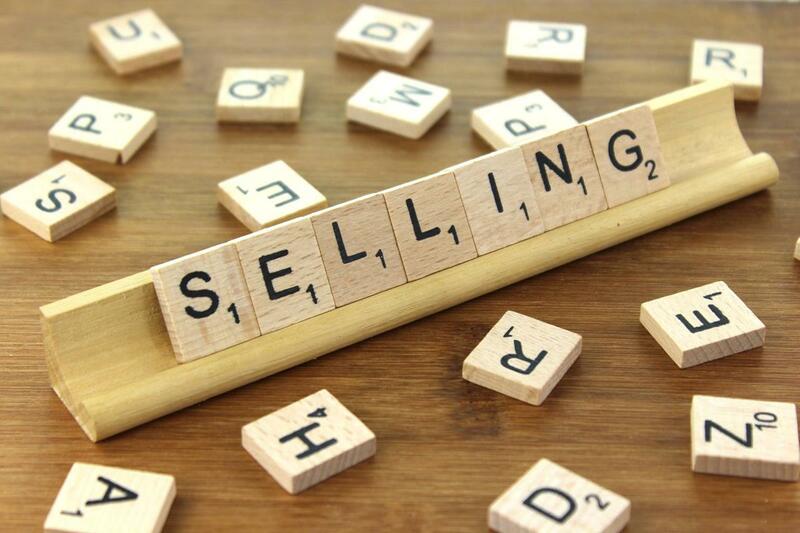 Forget selling what you are offering, regardless of its suitability. Ask targeted questions that will help you to understand whether you’re best suited to help your customer, or whether they need to look at other issues first. This approach may delay or even destroy the possibility of a sale, but happy customers lead to more sales, and dissatisfied ones spread the (awful) word. A bad sale is far worse than no sale at all. As suggested above, good ideas about key sector problems often come from forums, and you can also ask your customers questions yourself by email or in a feedback form sent with products. Try setting up a survey based around a set of essential questions that get to the heart of their issues. There are laws governing some sectors (financial advisors, for a start), which stipulate that they must have their clients’ best interests at heart. It’s also a philosophy that makes commercial sense for anyone selling a product or service. There are many ways to communicate to a client that you’re putting their best interests first. Start by researching what they want (as outlined above) and ensure what you offer is as closely aligned as possible to their requirements. Next, check out some key customer strategies, such as making sure that transactions and issue resolutions are as easy as possible. Ensuring clients feel important and valued also means fast response to contacts, and practical action to resolve any issues. While we all suffer the occasional bad customer, it’s important to stay polite – social media makes negative feedback easy to spread. Trust is a fundamental part of a good sales mindset – clients simply won’t buy from someone they distrust. To cultivate your customers’ trust, don’t sell a solution that’s not in a customer’s best interests, don’t misrepresent your product or service, and don’t promise anything you can’t deliver. If a problem develops, don’t seek to place blame, just fix it. If you make promises, keep them. Also, tell the truth! If you have bad news to deliver, don’t try to hold it back – the chances are the facts will come out in the end, and you’ll lose critical trust (and clients). It also pays to solicit testimonials from satisfied clients, leverage social media mentions, and search for independent reviews – all of which will tell prospective customers that you are worth doing business with. The art of listening is a fundamental part of the sales mindset. Often, people are so busy selling themselves and their product or service that they forget to listen to their clients. However, understanding client needs is critical. The International Listening Association reports that listening is a top skill required to succeed in business. Listening also involves interpreting – reading between the lines of what people are saying, and clarifying with them what they mean. Paying attention and remembering key client details shows you’re engaged, and that you respect their input. Doing this successfully means keeping track of your important customer data – not just their purchases, but also details about their business and their survey feedback. Even setting up a simple spreadsheet to track this data enables you to easily mine this customer gold. Sometimes, despite your best efforts, you won’t clinch that sale. Sometimes, if what you’re offering isn’t right for your prospective client, you may be the one who turns down the deal. In developing a positive sales mindset, it’s important to see such setbacks as part of your longer-term sales strategy. The key here is to keep trying. Don’t lose your enthusiasm and passion, and remember that even the most successful of entrepreneurs has had their share of setbacks. To build success from failure, you should analyze why you didn’t win that contract. Sales shame could be an issue for you, or maybe you weren’t quick off the mark. You may have failed to convey your enthusiasm, or got key client details wrong. If this sounds familiar, a tool such as Bidsketch can help perfect your pitch and make it easier for potential clients to choose you. Finally, research the competitor that beat you – check out their website and social media presence to see if there’s room for improvement in what you’re saying about yourself, and what you’re offering your clients. Know why your product can help your clients. Help them, rather than coerce. Have your clients’ best interests at heart. Make sure you listen attentively. Don’t be put off by failures. Have you any other thoughts on what makes a great sales mindset? Let us know in the comments section below!